NSS is latest Nokia servicing software. It can support for all our current hardware devices. Like Nemesis Multi flasher Box, F1 device and Prodigy LPT device. NSS is generally used for unlocking forgotten security codes of mobile phones. You can download NSS software from below downloading links. Nemesis Service Suite has the ability to retrieve original product code and warranty data from our server. Should be helpful when restoring the phone in original condition before flashing in NSU. Keep it your mind: This feature is implemented in NSS, but not fully operational on our server yet. Hopefully it will take 1-2 weeks to be fully ready. 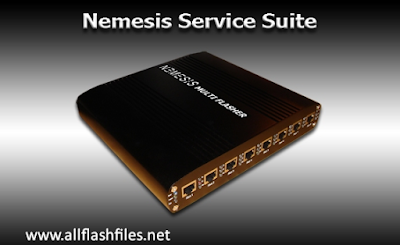 Nemesis Service Suite (NSS) changes. Nokia phones PRODUCT CODE with USB cable connection. It allows NSU (Nokia Software Update) to update the firmware to the required region and to read phone block code.